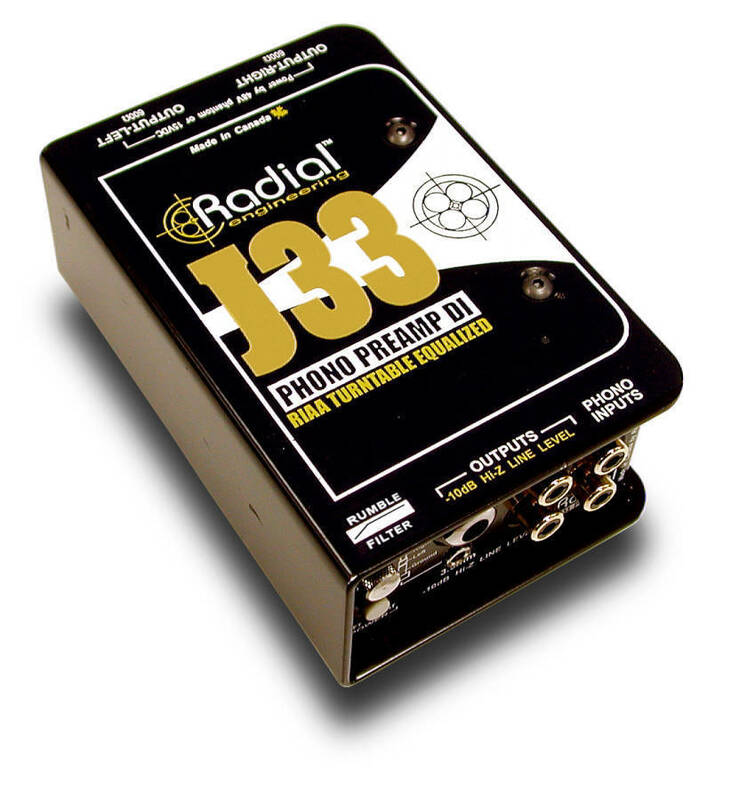 Designed specifically for dynamic cartridges, the J33 begins with a low noise front end. Inputs are standard RCA with the required turntable ground lug. A precise RIAA low pass filter is tailored to produce a smooth, warm response. 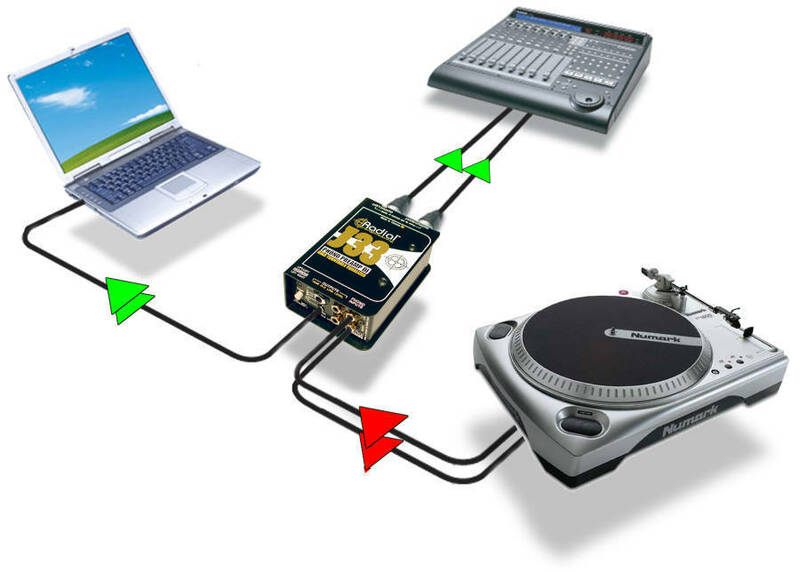 The signal is then buffered to provide the audio system with a standard -10dB signal with choice of RCA connectors for compatibility with home HiFi entertainment systems, 3.5mm (1/8") output to feed a laptop or iPod, or a stereo TRS " jack for an audio recorder. 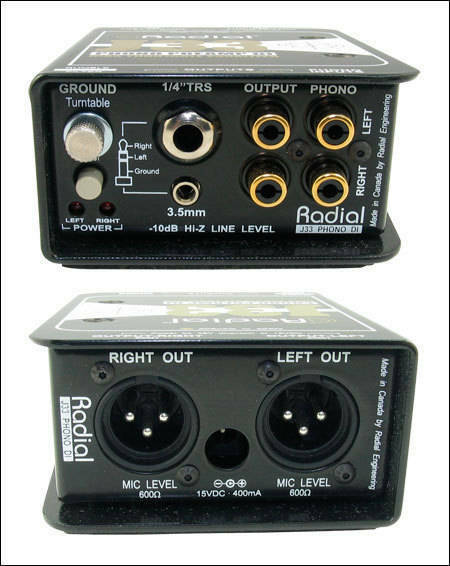 A second set of direct box XLR outputs deliver a mic level signal to feed a concert snake, mic splitter and mixing desk preamp inputs. A rumble filter is also available for high sound pressure environments to reduce bothersome resonant feedback. This has one of the nicest turntable pre-amps I have heard outside of a high end audio system. Being able to run it of phantom power is also a plus. It has all the bells and whistles you need for input and output and includes a rumble filter. Has grounding lug for your turntable. Good clean, uncoloured sound if you were to use if for digitizing your vinyl collection.